the oldest scientific society in Great Britain and one of the oldest in Europe, founded in 1660. It began earlier with small, informal groups, who met periodically to discuss scientific subjects. The “Invisible College? of London and Oxford, which first met in 1645, and a number of small academies in England became incorporated in 1662 when the newly restored Charles II granted a charter to the Royal Society of London for the Promotion of Natural Knowledge. Largely composed of Puritan sympathizers and adherents of Francis Bacon, the Royal Society received little more than moral support from the crown, unlike academies on the European continent, which were established by the state and whose members gained an income but lost their independence. Founders and early members of the Royal Society included the scientist Bishop John Wilkins, the philosopher Joseph Glanvill, the mathematician John Wallis, the inventor and microscopist Robert Hooke, and the architect Christopher Wren, who wrote the preamble to its charter. The stimulus of free expression provided an impetus to scientific thought and developments in England. By the 18th century, the achievements of the Royal Society were internationally famous. Its publication, Philosophical Transactions, begun in 1665, was one of the earliest periodicals in the West. 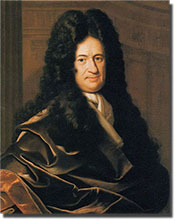 Isaac Newton was elected to the society in 1671, and Edmond Halley, the astronomer, in 1678. In 1768 the society sponsored the first scientific expedition to the Pacific, under James Cook, and in 1919 it sent an expedition to photograph the solar eclipse of May 29 from Principe Island in the Gulf of Guinea, which verified Albert Einstein's general theory of relativity and helped make Einstein famous. Five medals (the Copley Medal, two Royal, the Davy, and the Hughes) are awarded by the society every year, the Rumford and the Darwin medals biennially, the Sylvester triennially, and the Buchanan quinquennially. The Copley Medal originated in a bequest by Sir Godfrey Copley (1709) and is the most prestigious scientific award in Great Britain. The Royal Society continues to publish scientific papers in its Philosophical Transactions, while abstracts of the papers appear in the Proceedings. Members of the society are known as fellows. Candidates for membership in the Royal Society must be recommended by several fellows who personally attest to the candidate's scientific achievement. The society also has a number of foreign members. In the late 20th century, membership in the Royal Society included more than 1,000 fellows and 90 foreign members.